Five Essential Elements to Feeling Better, Single, Apart or Together! When life throws a curveball, you may be overcome with feelings of sadness, confusion, pain or despair. You may want your ex to change, your finances to be different, the betrayal to be undone, the law to be different. While venting and complaining may have emotionally protective value, ultimately they’re not going to make you feel better. And, focusing on the negative is not going to change the fundamental facts of your life. However, there are simple perspective shifts that can help you navigate any adversity and make all the difference in how you feel, how relate to yourself, with your family and in the world around you. So, how can you start to feel better when everything involving your life seems to be falling apart? By exercising your own agency and starting to take ownership of your power to alter your thinking. The most powerful, and compelling part of each of our reality is informed by the stories in our minds. That inner narrative informs all that you see, do and feel. And, while it’s powerful, with some small shifts in perspective and tweaks to our inner narrative you can shift it slowly, and begin to feel better. Your present circumstances do not define you. Each moment is an opportunity to press re-set and begin to cultivate a new reality. Positive reframing the facts of your life will activate your ability to heal. If you take a look at what I call the Five Essential Elements, you can begin to shift your internal narrative in a positive way. Those five elements are: patience, respect, clarity, peace and forgiveness. By focusing on just one of these five elements each and every day, you will become better equipped to move forward in a healthy way. The Five Essential Elements allow you to press re-start from wherever you are so that your life can truly become better. Patience through and beyond your difficult process is the key to your future. It opens the path to true feeling calm, and it gives you the strength to live in the present moment with mindful awareness. When you practice patience, you’re training your mind to transform what could be a catastrophe into an intentional and constructive future for your family and for you. Self respect can be elusive and the most important to hold onto when you are going through shame inducing experience. Respect for yourself, your humanity, your pain, is important so that you can process and move through it. When you notice you are feeling bad about yourself or your situation, consider whether you are exposing yourself to people or circumstances that are feeding the negative loop. For the moment, shelve the relationships that are not serving you. Write yourself a letter naming all the people and experiences that lift you up. Commit to spending more energy engaging in what allows you to best accentuate the positive. Clarity is your capacity to receive and respond with lucidity, taking nothing personally. Getting clear on priorities is vital in order to negotiate best outcomes for your personal needs. Clarity activates your ability to make smooth, easy decisions. Part of being clear in your decisions depends on how much you can let go of blame and allow yourself to make, acceptance and compassion more accessible. Visualize and internalize specific goals. Keep your focus on positive, forward movement and interactions in order to dispel negativity and keep it out of your orbit. Of course we all want inner peace. One way to move toward practicing peace is to strive for neutrality, which keeps you free of tension in your mind, heart and body. This freedom allows you to sustain your resources and keep yourself feeling nourished by your own attitudes and choices. Practicing peace helps you reconstruct your divorce or separation as a sanctuary of new possibilities. Recognize that peace is a choice and takes effort. Consciously remove yourself from a pointless argument cycle as you begin to welcome a pathway to peace. Forgiveness is a gift you give yourself. It’s a moment of letting go of what might have been and realizing that everything is just as it must be. Forgiveness allows us to release grudges and to feel truly free from the inside out. Remember, holding onto anger is like drinking poison and expecting the other person to die. Recognize that your present circumstances are not an indication of your future. Whether you feel wronged or have wronged another, forgiveness begins when you have compassion for yourself. If you engage in the daily practice of focusing on one of each of these five essential elements, over time you can truly press re-set. This habitual mindfulness of your circumstance and relationship through the lens of patience, respect, clarity, peace and forgiveness will no doubt make your road forward smooth. As the negative loop dissipates, you will begin to clear the path for possibility. You have the POWER RIGHT NOW to design your own elegant, satisfying story moving forward. One re-framed story at time. Gabrielle Hartley is an attorney, coach, mediator, consultant, speaker and author. She is known for a unique, non-toxic approach to divorce that she developed over two decades in practice. 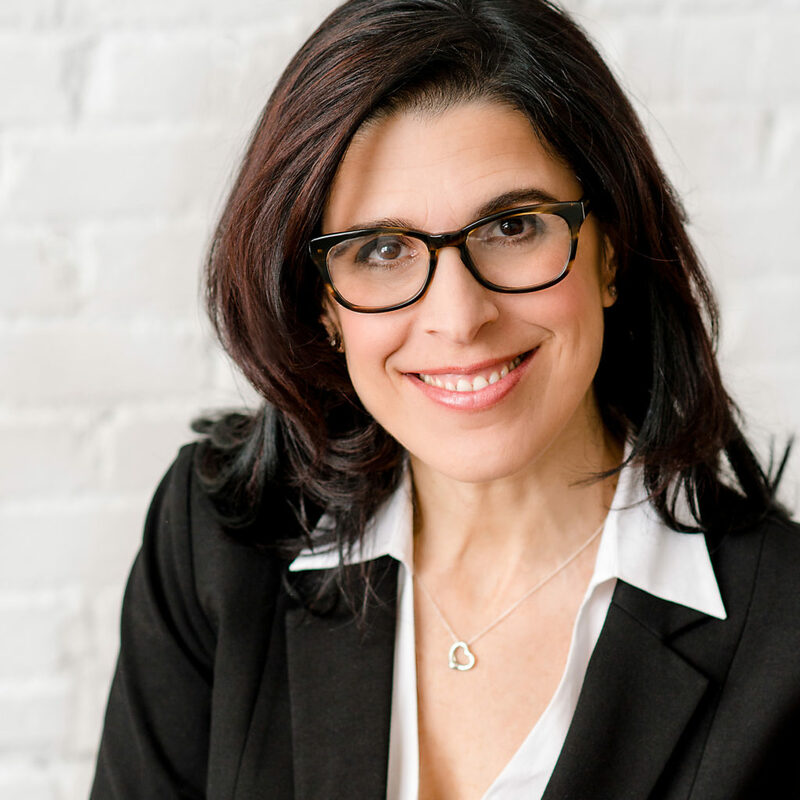 Gabrielle keeps 99% of her cases out of the courtroom and at the negotiating table as she effectively supports her clients to create a healthy, uplifted post-divorce life for them. 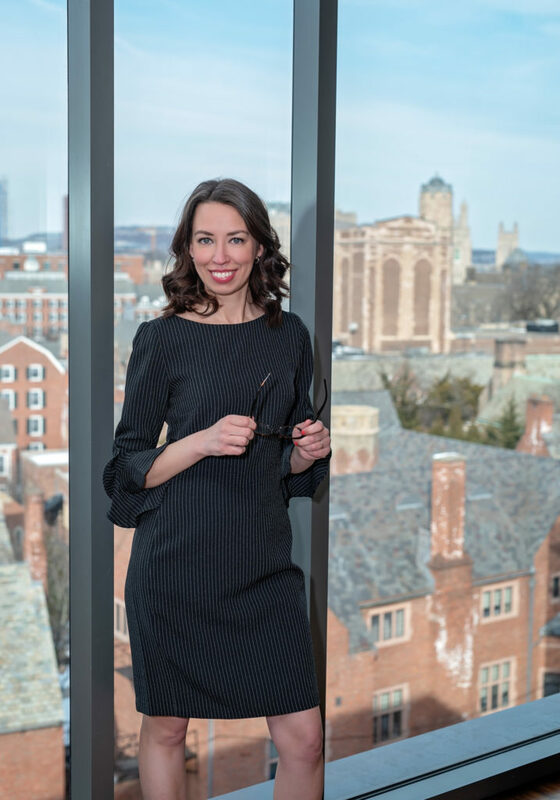 Gabrielle served as court attorney for Judge Jeffrey Sunshine in NYC matrimonial court and is a member of the Massachusetts Council on Family Mediation. She currently resides in Northampton, MA with her husband and three sons. Visit Gabrielle at gabriellehartley.com to learn more about hiring Gabrielle for speaking at events, divorce coaching or mediation services. 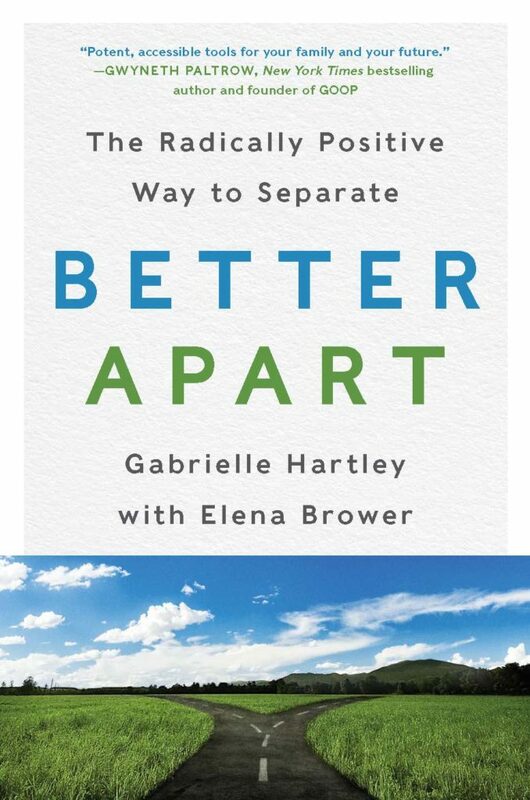 Better Apart: The Radically Positive Way to Separate (HarperWave), by Gabrielle Hartley, with Elena Brower, is the first book to apply the life changing healing wisdom of meditation and yoga, combined with practical advice to help anyone going through the painful and seemingly intractable realities of divorce. Using powerful, mind-body exercises and legal insight Better Apart shows you how to meaningfully shift your mindset and move forward through any-or all parts of this emotionally fraught process. In April, we celebrate National Social Security Month by letting you know what you can do online with a my Social Security account. Last month we featured how you can replace a lost or stolen Social Security card, get a copy of your 1099 (SSA-1099), and check the status of your Social Security benefit application or claim. This month we share three more advantages. If you already receive Social Security benefits, you can set up or change direct deposit information online with a my Social Security account. In most cases, you are required to receive federal benefits electronically, so when you choose direct deposit, we will electronically deposit your funds directly into a bank account. If you do not have a bank account, you can choose Direct Express® and your funds will be electronically deposited into a prepaid debit card account. Direct Express® has no enrollment fee or minimum balance requirement to open or use the account. We strive to provide online services that best suit when, where, and how you do business with us. You can set up direct deposit, or you can call us at 1-800-772-1213 (TTY 1-800-325-0778). Visit our website to learn more about all of our online services. Do you receive Social Security benefits (retirement, survivors, or disability) or are you enrolled in Medicare and getting ready to move? You can change your address information online when you create a my Social Security account. If you already receive Social Security or Supplemental Security Income (SSI) benefits, you can create a my Social Security account and have instant access to your award letter or, as we call it, benefit verification letter. Share with friends and family what you can do online with a my Social Security account. Originally posted on April 4, 2019 by Jim Borland, Acting Deputy Commissioner for Communications. Re-posted by Attorney Theresa Rose DeGray of Consumer Legal Services, LLC. This is no April Fools’ Joke: Means Test Numbers are Going Up as of April 1, 2019! After your initial consultation, I will analyze your financial circumstances and perform your Means Test. A Means Test is an assessment used to determine if you qualify to file a Chapter 7 Bankruptcy. Before 2005 it was easy to file for bankruptcy; virtually anyone could do so. 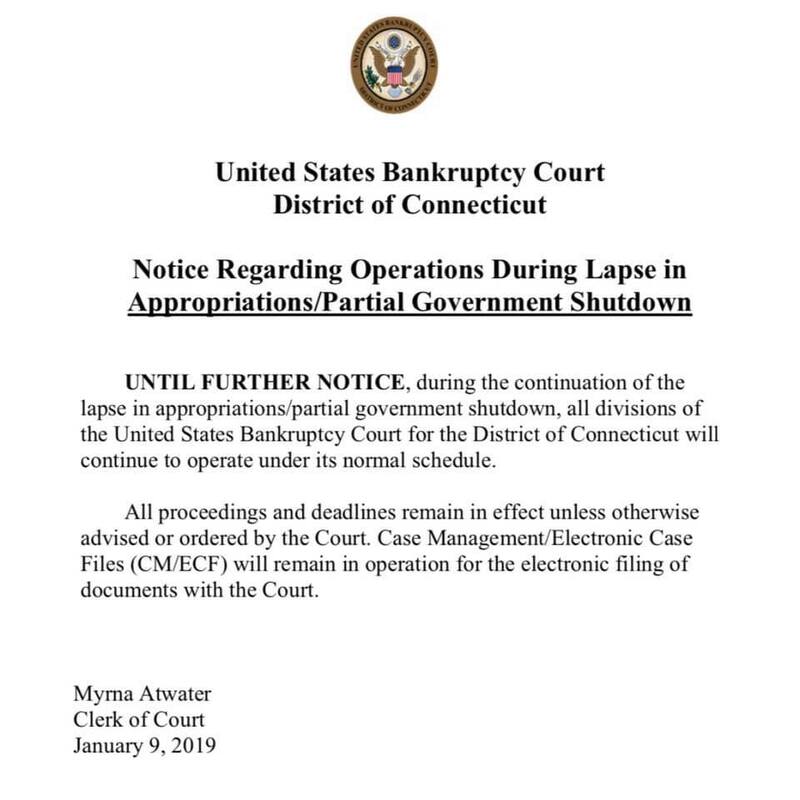 In 2005 Congress enacted the Bankruptcy Abuse Prevention and Consumer Protection Act (BAPCPA)1 and added the Means Test requirement to prevent abuse of the Bankruptcy process. Simply put if you “pass” the means test, you are a qualified candidate and can file a Chapter 7 Bankruptcy Petition. If you “fail” the means Test, you may not file a Chapter 7 Bankruptcy but you may enjoy other alternatives such as a Chapter 13 Bankruptcy. STEP ONE: Your (the “debtor’s”) gross income is calculated on an average over a six month period prior to filing for Bankruptcy. Gross income for means testing purposes includes wages, salary, tips, bonuses, overtime and commissions. It does not include social security benefits. The figure derived from taking the average is than considered the Debtor’s Current Monthly Income which is then compared to the median income for your state and household size. If your current monthly income is less than the median income for your state and household size, than you “pass” the means test and are allowed to file a Chapter 7 Bankruptcy Petition. If, however, your current monthly income is greater than the median income for your state and household size, you may proceed to Step Two. STEP TWO: If your current monthly income is greater than the median income for your state and household size, there is, in technical terms, a “presumption of abuse.”2 In order to rebut the presumption, or in other terms, to pass the means test by using the second step, the means test’s second section allows you to subtract from your current monthly income certain allowable and deductible expenses.3 These allowed deductions include, but are not limited to, expenses for living (mortgages and property taxes), transportation (car loans and car taxes), health insurance and charitable donations. After the calculations are performed, and the allowable deductions are taken, and if you then have no disposable monthly income available, you will then have passed the Means Test and may file a Chapter 7 Bankruptcy. If, on the other hand, you do have remaining disposable income, you may consider a Chapter 13 Bankruptcy. The discussion above is an overview of the Means Test in basic terms and is in no way intended as a specific analysis of your personal financial circumstances. 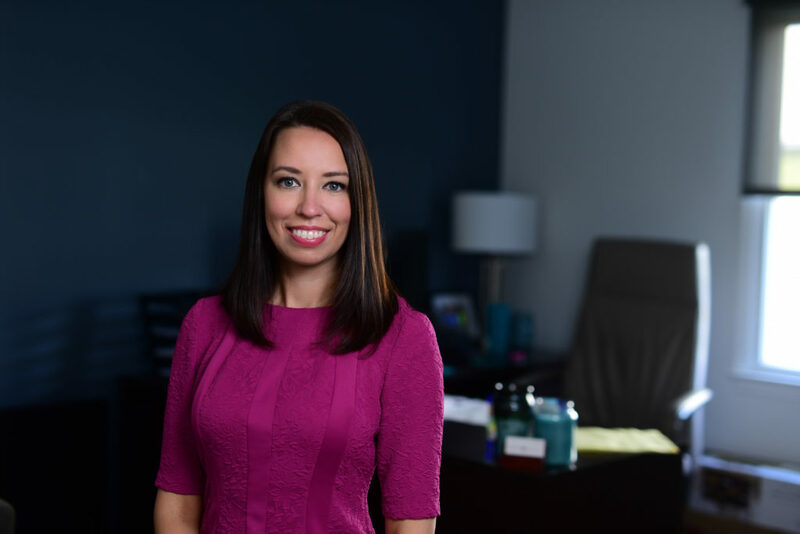 For an analysis of your own financial circumstances, please contact Attorney Theresa Rose DeGray, to schedule your free consultation today! 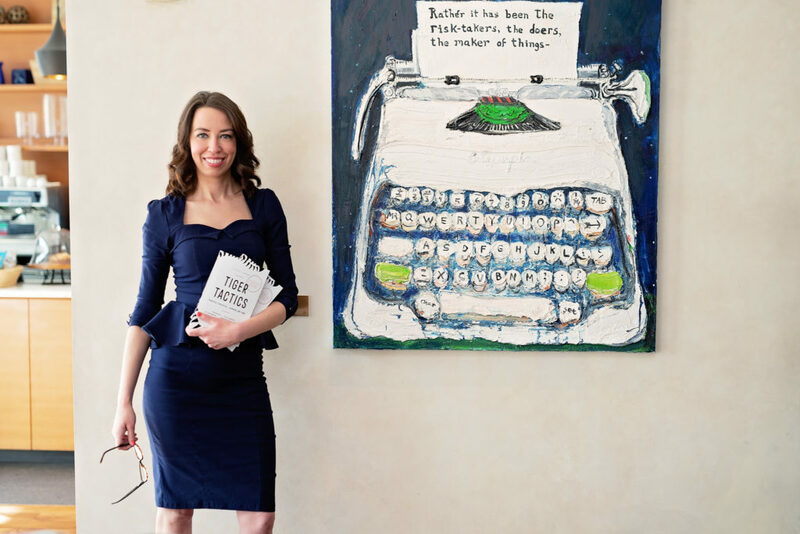 Wife, Mother, Attorney and…now, Author! About a year ago, over the course of many months, in between taking care of my son and clients, I co-authored a book called “Tiger Tactics: Powerful Strategies for Winning Law Firms.” Below is a sample. Copies can be ordered on TigerTacticsBook.com. They say when you have a baby, you should sleep when the baby sleeps. I say work when the baby sleeps. Thirteen months ago I had a baby. I did not have a maternity leave. I emailed clients within one hour of having a C-section. When you are a solo, there is no other choice. My son’s name is Chase. I now think of my life in two parts: (1) Before Chase (aka BC) and (2) After Chase (aka AC). Before he was born, I worked all the time. And I mean All. The. Time. I loved it. I know, I am weird. But I wanted to be a lawyer all my life and I love what I do……all aspects of it, working in the business as well as working on the business. My husband didn’t love it. But he adjusted BC and understood why I didn’t have many friends or hobbies, because I was always working and that was my passion. After Chase, things were immediately different. I now have this little human that depends on me 24/7 and is the cutest, most fun little guy in the world, so of course, spending time with him has become my first priority, and my work has naturally taken a close second place. My number-one piece of advice to any lawyer who has children or wants to balance their work and life, even if they don’t have kids, is this: Make a schedule and stick to it. Easy to say and hard to do, I know. It’s the nature of our profession and one of the top reasons why I love it. No day is the same. Mondays I might spend all morning in court and all afternoon in client meetings, and on Thursdays I might spend all day doing networking, going to Rotary meetings, and meeting new referral sources. But the longer you practice, the more you will notice a rhythm to your practice and your schedule, so you can make a rough schedule and try to stick to it. That goes for home too. To continue reading, head over to www.TigerTacticsBook.com. For more information and a FREE Means Test Analysis, please contact Attorney Theresa Rose DeGray at 203-713-8877 or visit www.ConsumerLegalServicesLLC.com. THE FIRST STEP on your journey to a fresh start begins with a free and confidential consultation to learn exactly what your options are. 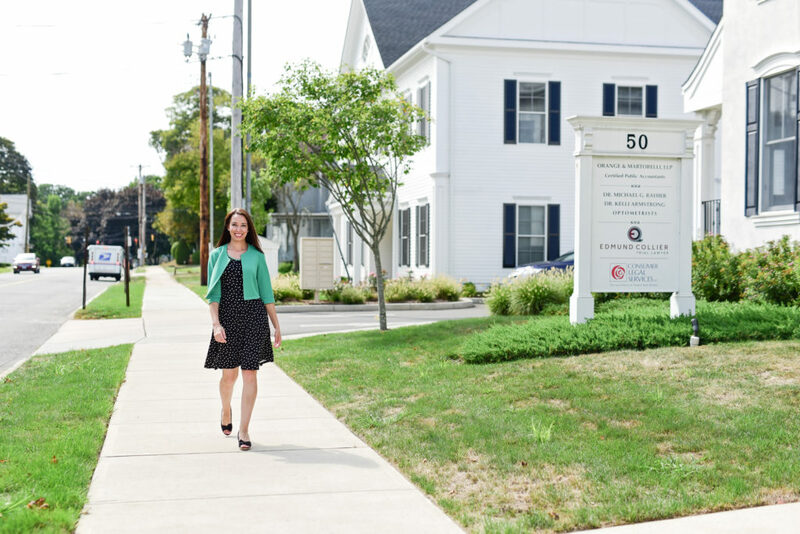 I offer initial consultations at various locations around the state of Connecticut (including Milford, Shelton and Wethersfield) and will strive to find a convenient time and place to meet with you. I have day, evening and weekend appointments available and will even skype or facetime with you! An initial consultation with a lawyer is a great opportunity for many reasons. When you meet with me for the first time you will be treated with respect, dignity and compassion. I understand the hardship you are facing and will give you my full attention. The meeting will be an opportunity for you to interview me, just as much as it is an opportunity for me to interview you. Always remember, when you hire an attorney, they work for you, and you must feel comfortable with them as you will have to trust your attorney to guide you through each and every step of the Bankruptcy process. During our consultation I will ask pointed questions that are focused on painting a picture of your financial circumstances. This inquiry will include questions pertaining to your income, assets and debts. Through your answers I will be able to analyze your financial circumstances and offer you options. Next I will show you various disclosure statements that I am required to give to you by the United States Bankruptcy Court under the Bankruptcy Code1. These documents will explain the Bankruptcy process, the difference between the various chapters of Bankruptcy, what a Discharge is and what credit counseling services are, among other important things. You will be asked to sign these documents, acknowledging that you received them. Finally, if I determine that you are a likely candidate for Bankruptcy and you are interested in hiring me to file your Bankruptcy Petition, I will conclude my presentation by guiding you through a checklist of documents I will need from you to perform a Means Test. A Means Test is a formal assessment used to determine if you qualify for Bankruptcy. Do not be alarmed, it is not a test like the SATs and does not require you to pencil in any bubbles! On the contrary, you will gather the documents and my staff and I will prepare the test for you as part of our package services. Throughout the consultation and especially at the end, I will ask you if you have any questions. I will be happy to answer all of your questions and you should not hesitate to ask any question or ask for clarification if something is unclear. At the conclusion of the initial consultation I will give you a folder with all of my contact information and copies of all the documents you read and signed during the meeting. A follow-up appointment will be made with you for either a telephone conference or an in-person meeting to go over any further questions you may have and to help you with the gathering of your documents. The next part of this series will go into more depth about the specific documents you will gather so that we will be able to analyze your financial circumstances and prepare your Means Test. To schedule your initial consultation, please call us at 203-713-8877 or visit our website at www.ConsumerLegalServicesLLC.com. 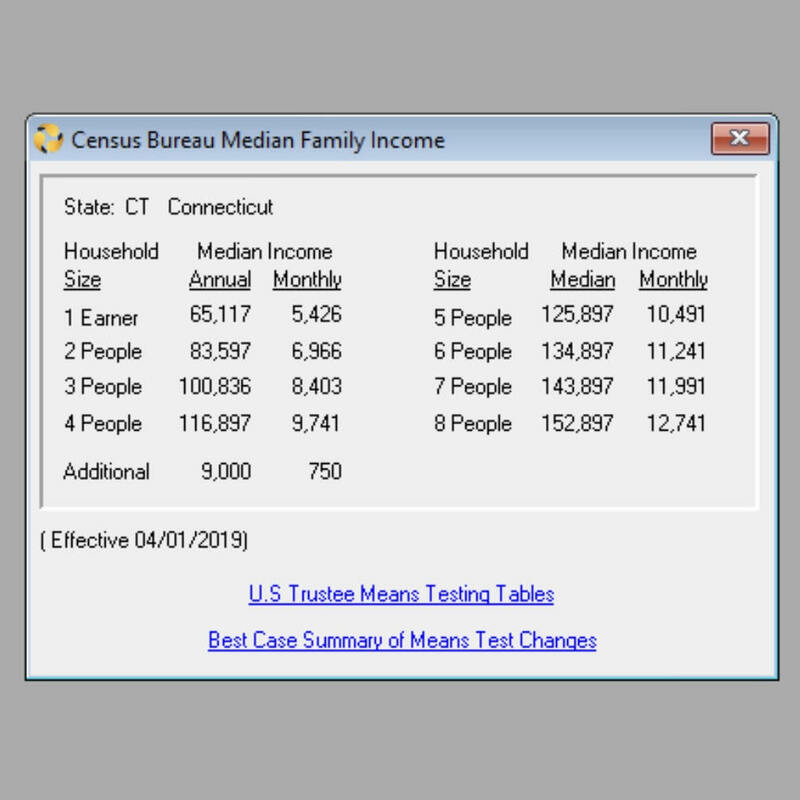 The Census Bureau’s Median Family Income Data accessible through the “Means Testing Information” page has been updated. The U.S. Trustee Program will apply the updated data to all cases filed on or after April 1, 2019. I have been debating how to talk about this in a delicate manner and I simply could not figure it out. So, I will just come out and say it: People being crushed by debt can leverage their tax refunds to file Bankruptcy and get a Fresh Start. There, I finally said it. It may not sound kosher but it is. 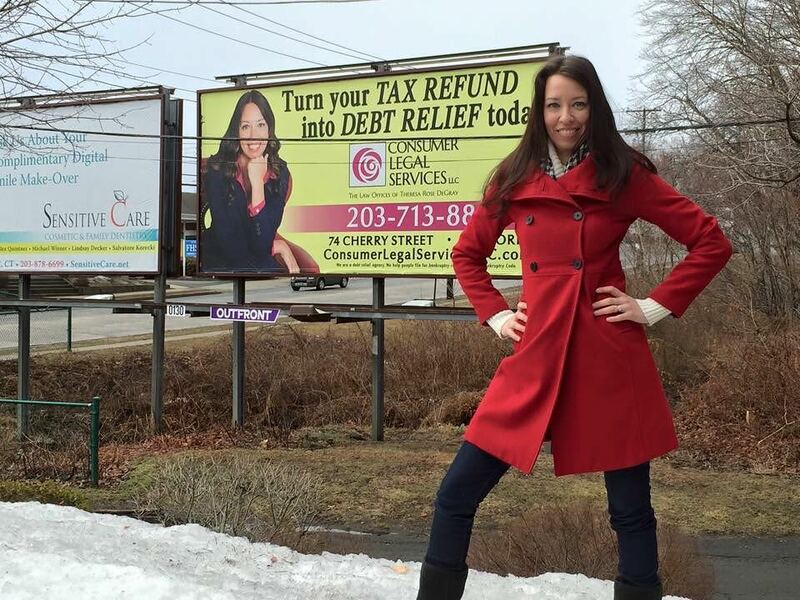 Instead of using your tax refund to pay off a portion of your debt, or to buy a big screen TV, people can pay for their legal fees to get out of massive amounts of debt if they qualify and it is the right thing for them to do based on their circumstances. If you are struggling with debt and want to explore this option, please contact my office and schedule a free and confidential consultation. 1. Where can I find general information about Child Support Enforcement Services? The Connecticut Child Support Enforcement Program (referred to as the “IV-D” program) is a cooperative effort between the Judicial and Executive Branches of Connecticut government. The primary Judicial Branch component of the IV-D program is the Support Enforcement Services Unit of the Court Operations Division. For more information on the Executive Branch agencies involved in the Connecticut Child Support Enforcement Program, click on the links listed below, or contact Support Enforcement Services, Child Support Call Center at 1-800-228-KIDS (5437) or email us. More information about paternity orders and other child support services provided by the Dept. of Social Services. More information about child support services provided by the Attorney General. PLEASE NOTE – Use of the Child Support Enforcement Program is not mandatory. You may establish paternity and/or support and enforce court orders without the assistance of the IV-D program. 2. What is the IV-D Program? The IV-D program (pronounced Four-D) is the technical name for government administered Child Support Enforcement Programs. The term ‘IV-D’ comes from Title IV-D of the Social Security Act, which is the program’s federal enabling statute. In Connecticut, a case is considered IV-D if the family has received public assistance benefits or if an application for services was filed with either the Department of Social Services or the Support Enforcement Unit. 3. Where are the Support Enforcement Service Unit offices and what are their telephone numbers? 4. Are there any Child Support Publications available? Child Support and Arrearage Guidelines – also available for free in court clerk’s offices and Court Service Centers in the Judicial District Courthouses, or call 1-800-228-KIDS or by email. A Child Needs Emotional and Financial Support of Both Parents – PDF. Also available in English and Spanish at the offices of Support Enforcement Services – (en español). How to Change Your Child Support Order – PDF. Also available in hard copy at all Support Enforcement Services offices, Judicial Court Clerk offices, Court Services Centers, Public Information Desks, Judicial Law Libraries. Other publications – List of publications available from the Department of Social Services. JDP-FM-196 For Custodial Parents – Answers to Common Questions – PDF. Also available in hard copy at all Support Enforcement Services offices, Judicial Court Clerk offices, Court Services Centers, Public Information Desks, Family Relations Offices, and Judicial Law Libraries. JDP-FM-197 For Non-Custodial Parents-Answers to Common Questions – PDF. Also available in hard copy at all Support Enforcement Services offices, Judicial Court Clerk offices, Court Services Centers, Public Information Desks, Family Relations Offices, and Judicial Law Libraries. 6. How do I get Child Support? You must have a court order to receive child support. A court order for child support establishes the monetary support order for your child(ren) as well as other orders for health insurance and child care. Even if the non-custodial parent is willing to sign a voluntary agreement to pay child support, it must be approved by a court. Hire an attorney to pursue your case in court. Apply for child support services (IV-D) offered by the State. Child support services are free of charge. Contact your regional office of the Department of Social Services (DSS) for an application. List of DSS offices and telephone numbers. 7. How are Support Orders calculated? The courts use mandatory guidelines to make fair and consistent child support orders. The Connecticut Child Support and Arrearage Guidelines are state regulations which provide a mathematical formula to set the child support payment amount. The Guidelines use the combined income of the mother and the father and the number of children to set a child support amount. The court will also enter a medical insurance order for the minor children if it is available through an employer for a reasonable cost. The court may also order one or both parties to apply for, and maintain, medical coverage through the HUSKY PLAN. The guidelines also provide for the allocation of un-reimbursed medical costs between the parties. The guidelines also provide a mathematical formula for allocating qualified childcare costs between the parties. The amount of the child support order can change. Because child support payments are based on income, the support amount may change as the circumstances of the parents change. Click here for a copy of the Connecticut Child Support and Arrearage Guidelines, or contact the Child Support Call Center at 1-800-228-KIDS or email us. You may also get a copy at any Judicial District Clerk’s Office near you. 8. How will I get my Child Support Payment? Non IV-D Income Withholding customers must report name and address changes to SES Non IV-D, P.O. Box 65, Vernon, CT 06066, or by calling 1-800-228-5437. Non IV-D Income Withholding customers must provide the state with information to allow for the creation of an account with the SDU. Non IV-D customers MUST complete a Case Input Record Non IV-D Income Withholding (JD-FM-150) and mail it, along with a signed original Withholding Order for Support (JD-FM-1), to SES Non IV-D, P.O. Box 65, Vernon, CT 06066. The Non IV-D unit will create an account with the SDU and serve, via certified mail, the withholding order on the employer (or source of income). Non IV-D Income Withholding customers must report name and address changes, in writing, to SES Non IV-D, P.O. Box 65, Vernon, CT 06066. Changes in employment or source of income, or changes to the income withholding order must be recorded on the CASE INPUT RECORD NON IV-D INCOME WITHHOLDING (JD-FM-150) and mailed to the PO Box listed above. The Non IV-D Unit will make the changes necessary for the SDU to accurately process your payment. Please refer to the instructions on the JD-FM-150 for further information. Contact the Non IV-D Unit by email. Where can I send my child support payment? * SDU payment information is available on the internet at https://ct.smartchildsupport.com/home.aspx. Or you may contact them by telephone at 1-888-233-7223. 9. How can I obtain case information? Calling VARS (Voice Activated Response System) for automated case information at 1-888-233-7223, 24 hours a day, seven days a week. The SDU (State Disbursement Unit) may also be contacted through VARS. Calling your local Support Enforcement Services Unit office. List of Support Enforcement offices and phone numbers. Contacting the Support Enforcement Services, Child Support Call Center at 1-800-228-KIDS (5437) Monday through Friday, 8:00 a.m.- 5:00 p.m.; Thursdays until 7:00 p.m.
Case specific information about court activity via the Civil/Family Case Look-up. 10. How do I enforce a Child Support Order? Income Withholding – all child support orders may be collected through a court order to deduct money from the non-custodial parent’s income (Income includes wages, overtime pay, worker’s compensation, unemployment compensation, retirement benefits, etc.). Contempt – the court finds that the non-custodial parent willfully failed to obey the court order. A person found in contempt may be ordered to pay a lump sum of money. The person also can be sent to jail (incarcerated) until a certain sum of money is paid. License Suspension – the court finds the non-custodial parent failed to obey the court order and orders his or her driver’s license, professional, occupational license, or recreational license suspended after 30 days. You may also hire an attorney to represent you and file court papers asking for a finding of contempt, or complete and file court papers for yourself (self-represented or “pro se”).The court papers you may need is the Motion for Contempt – PDF. 11. What if the non-custodial parent lives out-of-state? Referral to the U.S. Attorney for federal prosecution under the Child Support Recovery Act and Deadbeat Parents Punishment Act, 18 U.S.C. Section 228. 12. How can my order be enforced without going to court? Federal and State Income Tax Offset (IV-D CASES ONLY): Past due child support orders monitored by the state are automatically matched against federal and state income tax returns every year. To be included in the match, the non-custodial parent must owe more than $500 if your children have never received public assistance. If your children have received public assistance, the amount past due must be $150 or more. The non-custodial parent will receive a written notice about the past due child support, proposing that his or her name be submitted for tax offset. The non-custodial parent has the right to contest the proposed tax offset. If the non-custodial parent’s name is submitted, his or her tax refund will be intercepted to pay the child support debt. Consumer Credit Reporting IV-D CASES ONLY): Overdue child support of more than $1000 is automatically reported to the major credit reporting agencies as an overdue debt on a monthly basis. The child support debt will be included on the non-custodial parent’s credit report. The non-custodial parent will receive a written notice about the overdue child support, proposing that his or her name be submitted to credit reporting agencies. The non-custodial parent has the right to contest the proposed reporting. Liens against Property: Past due child support of more than $500 may be collected through a lien against the non-custodial parent’s real estate or personal property. When the property is sold, the child support debt will be paid out of the proceeds of the sale. In IV-D cases, the non-custodial parent will receive a written notice about the past due support and information that a lien has been filed on behalf of the custodial parent by the state. The non-custodial parent has the right to contest this action. NON-IV-D lien actions must be pursued privately. Other Methods Used by the State to Collect Child Support in IV-D Cases Include: offsetting lottery winnings; seizure of bank accounts; offsetting federal payments (example: federal contracts); and, denying passport applications. 13. How do I change or modify a Child Support Order? In Connecticut, child support orders can only be changed (modified) by a judge or a family support magistrate. There are three ways to get your child support case to court for a hearing to ask a judge or family support magistrate to change your order: 1) ask Support Enforcement Services to assist; 2) hire an attorney; or 3) do it yourself. If you are asking for the modification, you must attend the court hearing or the judge or magistrate will not change the order. You may be eligible to participate by phone if you are not residing in Connecticut. If you have a child support case with the state child support program, you may ask Support Enforcement Services (SES) in writing, by phone or by e-mail to review your court order to see if a change may be needed. You will be asked to complete a written request form which includes providing information about you and the other parent. If your court order is from Connecticut and either parents’ income has changed enough that the support order is at least 15% higher or lower than the amount required by the child support guidelines, then SES will prepare the court forms and tell you the court hearing date. SES can also assist you if there has been a change in either parents’ circumstances such as the receipt of Supplemental Security Income (SSI) or Social Security Disability (SSD), a change in custody or a change in incarceration status. If your court order is from another state, contact SES and ask how to change an out of state order. Please note that Support Enforcement Services employees are not attorneys and cannot represent either parent at court hearings. Hiring an Attorney: You may hire an attorney to file a motion for modification and represent you before the court. Self Representation: You may file a motion for modification and represent yourself in court (PRO SE). How to File a Modification on your own. 14. My employee is subject to Income Withholding. What does that mean for me as the employer? For a complete listing of income subject to withholding, see Connecticut General Statutes section 52-362. Withhold money from income or wages as required by the court order. Send payments within seven days of withholding the money from the employee’s wages or earnings to the State Disbursement Unit as indicated on the Withholding Order for Support (JD-FM-1). Continue to withhold and send payments until you are notified by the court or a state agency that the withholding order is suspended or changed. Honor multiple withholding orders for the same employee the fullest extent possible. The state will allocate the payment as appropriate. 15. What if there is an Income Withholding Order from another state? As of January 1, 1998, Connecticut employers must honor Income Withholdings from other states in the same manner as if a Connecticut court issued them. The employer must implement the withholding order regardless of a claim made by the employee through the use of the claim form. 16. What is my responsibility as an employer if the employee has an income withholding order and makes a claim for workers’ compensation benefits? When the obligor makes a claim for workers’ compensation benefits, the employer shall include a copy of any order for withholding received by the employer for the obligor with the employer’s first report of occupational illness or injury to the employer’s workers’ compensation benefits carrier, and such benefits carrier shall withhold funds pursuant to the withholding order and pay any sums withheld as required by subsection (f) of C.G.S 52-362. This firm is a debt relief agency. We help people file for bankruptcy relief amongst other things, under the Bankruptcy Code.